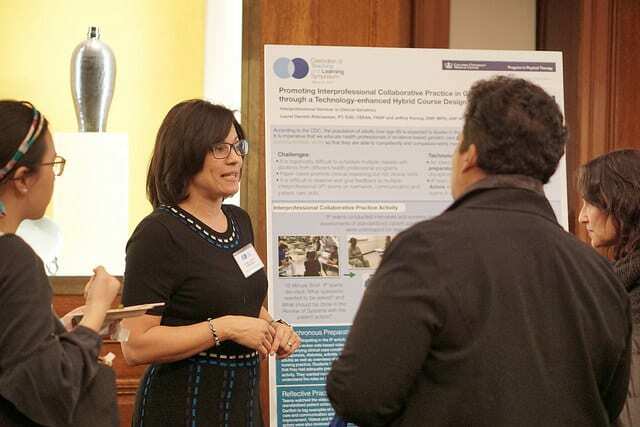 The Office of the Provost welcomes the Columbia teaching and learning community to Low Library for the Celebration of Teaching and Learning Symposium on Thursday, February 22, 2018 to celebrate the innovative efforts of faculty and graduate students in transforming their courses and pedagogies, and bring together Columbia faculty, students, and staff to celebrate these accomplishments. Celebrate innovations in teaching and learning. 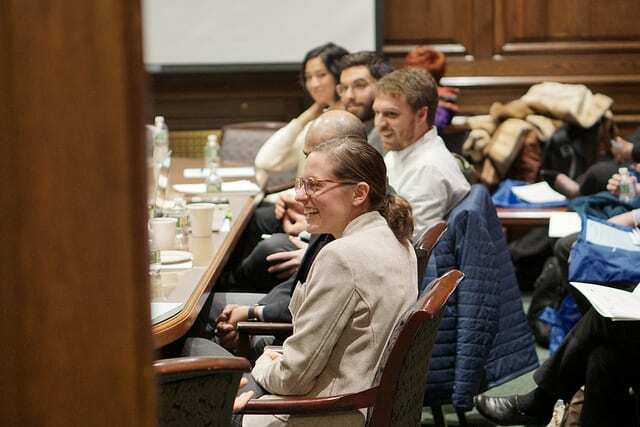 Get inspired by Columbia instructors developing innovative and technology-rich pedagogy for their courses, including the Provost’s Hybrid Learning Course Redesign and Delivery faculty grant awardees. At the Symposium, we can help you facilitate new approaches and methods for helping students learn how to learn and take ownership of their learning. The Center for Teaching and Learning can offer you support to put your ideas into practice. How can we better enrich the student learning experience? 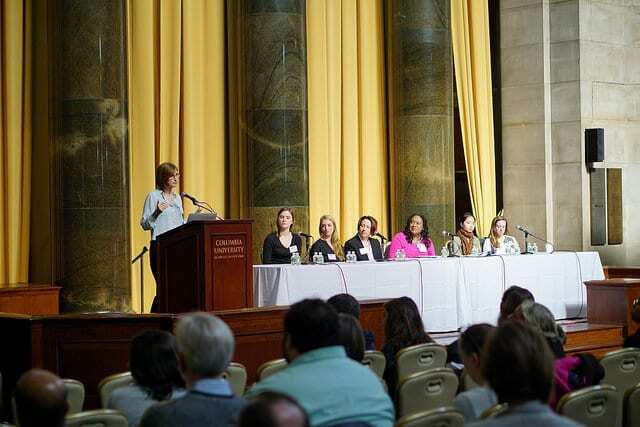 Whether you’re a faculty member or student, you’re invited to join us in building conversation around the culture of teaching and learning at Columbia. This year’s keynote speaker is Cathy N. Davidson, educator and author of “The New Education: How to Revolutionize the University to Prepare Students for a World In Flux.” Davidson is the Founding Director of the Futures Initiative and a Distinguished Professor in the Ph.D. Program in English at the Graduate Center, CUNY. Davidson is a renowned scholar of cultural history and technology, including the history of the book, the history of industrialism and postindustrialism, digital humanities, and the impact of new technologies on culture, cognition, learning, and the workplace. Currently, her scholarship focuses on the future of higher education. Learn more about the keynote here. Participants should feel free to come and go throughout the day; we just ask that you register ahead of the event. To receive announcements about the Symposium and other upcoming events, please join the CTL email list. Faculty, graduate students, postdocs and staff are invited to submit a poster proposal to share their teaching and/or curricular innovations. Communicate your contributions toward the improvement and enhancement of teaching and learning at Columbia. Examples might include collaborative learning activities, flipped/blended classrooms, new models of student assessment, and teaching with technology, and may include projects that have concluded or are in progress. The Center for Teaching and Learning will cover the costs of printing accepted posters. Learn more about the proposal process, requirements, and how to apply here. Should you have any questions regarding this event, please contact Caitlyn Esposito at cke2109@columbia.edu. Please note that there will be photographers and videographers from the Center for Teaching and Learning at this event. Contact Elizabeth Hernandez at emh2183@columbia.edu if you do not wish to be photographed or recorded. Columbia University makes every effort to accommodate individuals with disabilities. If you require disability accommodations to this event, please contact Elizabeth Hernandez at emh2183@columbia.edu.